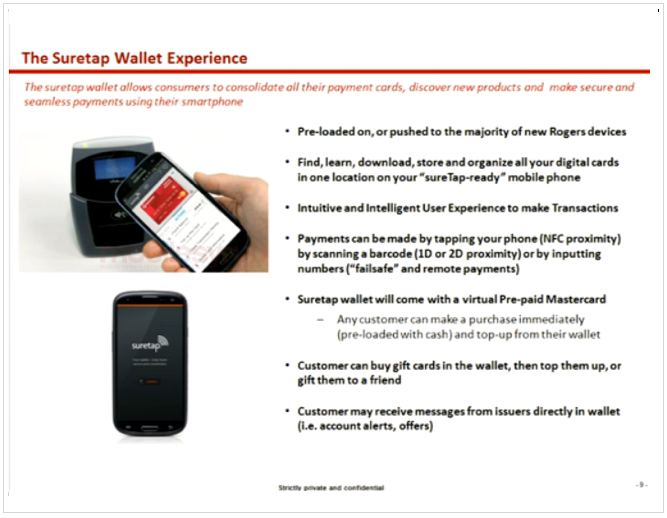 Rogers announced its suretap Wallet mobile payment system on November 7th. 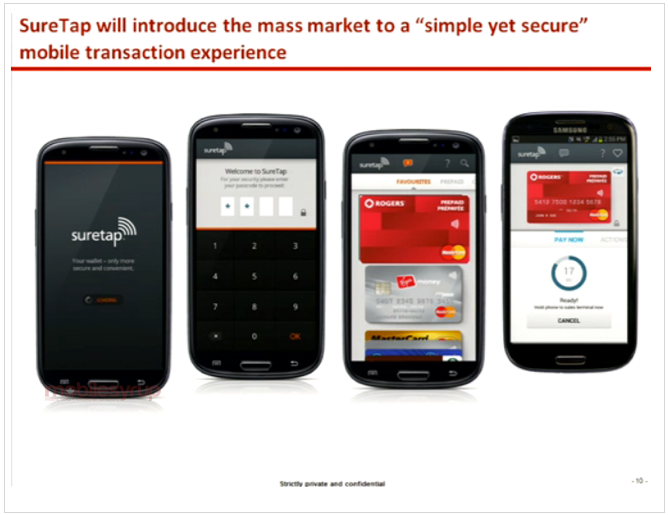 This will eventually allow customers with select Android and BlackBerry devices to use “co-branded virtual Rogers Prepaid MasterCard that can be loaded with funds to use at their favourite retailers across Canada.” This is an extension of the company’s suretap initiative and brings the true digital wallet one step closer to reality. 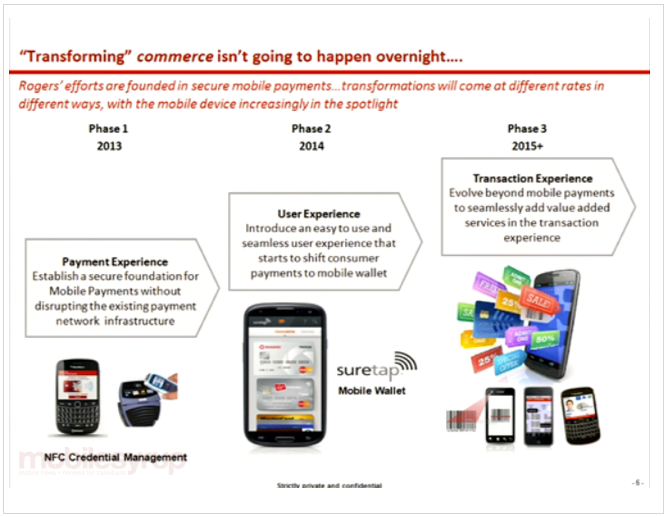 Back to the suretap Wallet. Robinson stated that future Rogers devices will come preloaded with the suretap wallet, some might call this bloatware, or “you’ll wake up one day and it will have one of these wallets” pushed to your current device. 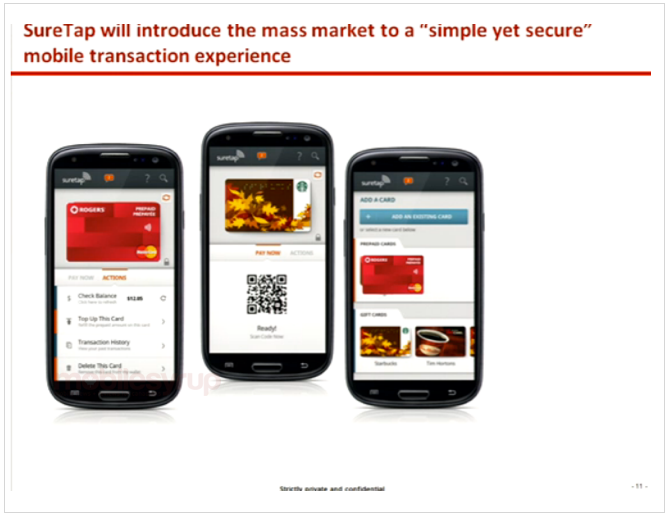 I captured some screenshots from his presentation and it also looks like Rogers will embed a Rogers prepaid MasterCard into the device, possibly a branded “Rogers First Rewards” MasterCard. Curious how Rogers Alerts and the new Rogers Mobile Shopper will come into play? 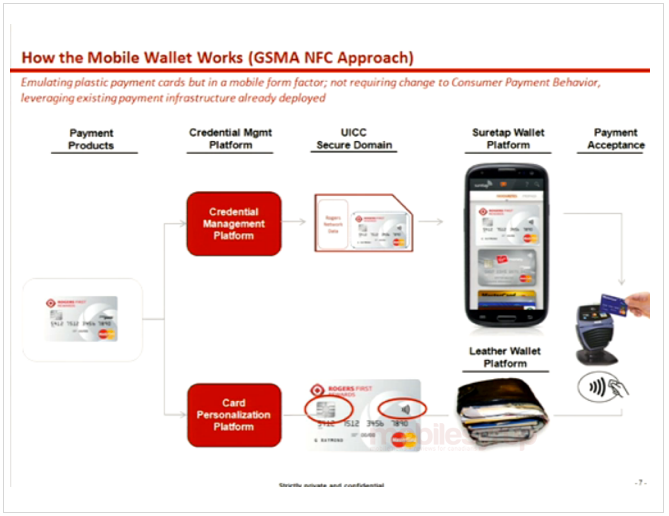 Well, “customers may receive messages from issuers directly in wallet (i.e. accounts alerts, offers).” This of course, will be subscriber driven and users will have to opt-in. Another interested takeaway is that the maximum amount that PayPass and PayWave Point-of-Sale terminals allow for a contactless payment is a $100, so anything above that number will still actually need to use your plastic credit card. The good news, according to a stat in the presentation, is that 86% of face-to-face transactions are under $100. The app looks to be well designed and intuitive. There’s a numeric passcode that must be entered to gain access and all the cards are all organized into categories, such as favourites, prepaid and gift cards with the option to see your transaction history.